Dr. No, your escape vehicle is ready. The 100-foot, spider-shaped contraption skimming around San Francisco Bay looked more like a James Bondian vessel than it did a new class of watercraft. But that’s exactly what its inventor, Ugo Conti of El Cerrito, says he’s achieved. This thing looks really wild. It’s hard to judge the size from the pictures, but the specs say the beam is 50 feet (15.2 m), so it’s probably 100 feet (30.5 m) in length. For a video of the Proteus on San Francisco bay, check the Mercury News Photo site. Today I chaperoned a school field trip to NASA Ames Research Center here in Silicon Valley. The educational program focused on wind tunnels and some aspects of creating vehicles for space travel. Overall it was interesting and seemed to hold the kids’ interest pretty well. Of course I volunteered because I’m interested in this great facility right here in our backyard. Anyone commuting near highways 85, 101, or 237 in Mountain View has seen this facility’s impressive buildings. Tonight I did a little digging to see what kind of online information I could find. The official Ames Research Center site looks very NASA-formal, but didn’t seem to have anything interesting. Today we got a personal tour of the 80×120 tunnel which is the largest in the world. Its last test was in 2003 with the parachutes for the Mars Exploration Rovers Spirit and Discovery. At that time, the tunnel was going to be closed down due to budget cuts, but in 2006 the Air Force signed a 25-year lease to operate the facility with a focus on helicopter testing. The smaller wind tunnels are part of the Unitary Plan Wind Tunnel complex which is registered as a National Historic Landmark. It looks like this facility is still quite active in part because they can achieve supersonic speeds. Map links: Microsoft Live Google Yahoo! 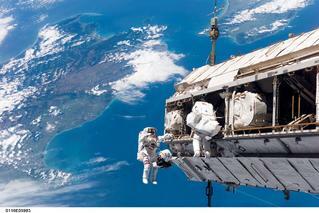 Check out Yahoo!’s Shuttle Full Coverage news page or NASA’s STS-116 Mission page for news and multimedia. 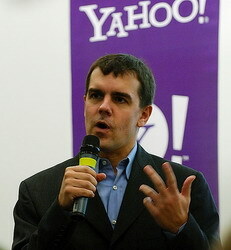 Last night I attended the first “confab.yahoo” at Yahoo HQ. The topic was Prediction Markets moderated by James Surowiecki, author of the popular book “The Wisdom of Crowds”. Overall this was a great learning event and I’m glad Yahoo! is starting this series of micro-conferences and making them open to the public like this. For a great summary of the event, check out ReadWriteWeb’s post: Prediction Markets at confab.yahoo. 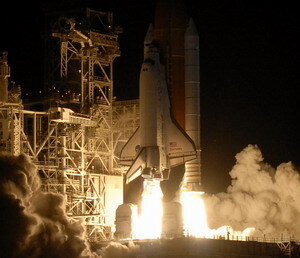 Yesterday we caught the nighttime launch of shuttle Discovery on mission STS-116. Check the NASA site for more images from the launch and ongoing updates from the shuttle. In addition to delivering another truss for the International Space Stations, this mission is also going to rewire the entire electrical system!